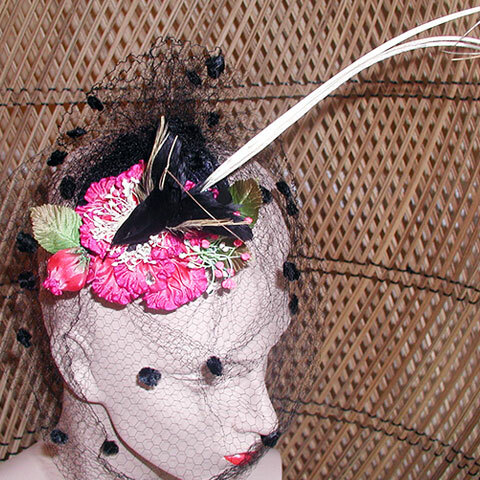 This pink flower fascinator is a one of a kind. 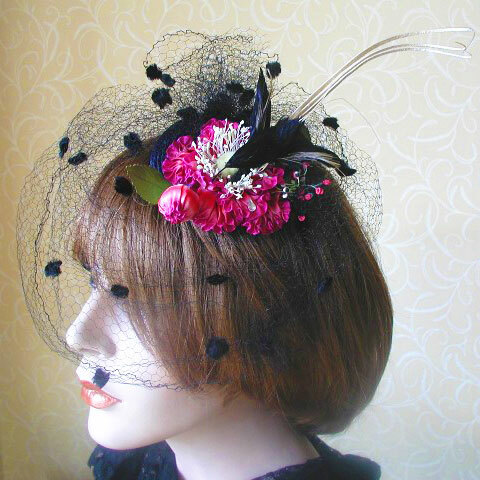 Both the veil and the adorable little bird are French antique, in this headpiece. Please note, the bird is not real, but a feather covered shape. The base is new, topped by the beautiful French antique veil with chenille dots, then one of my hand made ombre ribbon flowers sits on top, and finally that little bird has just landed. It fits comfortably on the head with a comb. 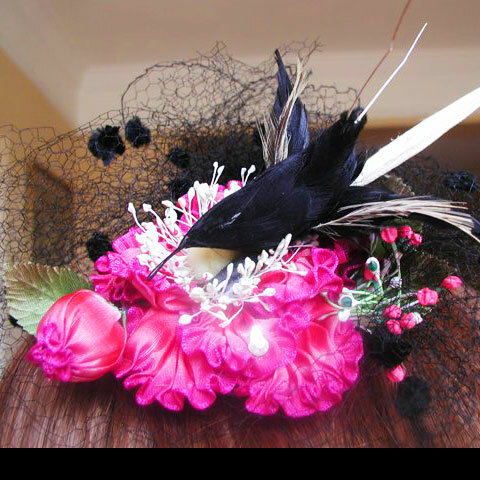 Please note, as the pink flower fascinator has some antique parts, it needs to be handled ‘delicately’. Hand made in Scotland, by Rita, with love.